So you have scoured the internet looking for a good quality brand of makeup that doesn't break the bank and ended up discovering a relatively new brand of makeup called e.l.f. cosmetics. Of course the first thought that came to mind was about its quality and performance and how e.l.f. cosmetics rates overall. In an effort to help answer this question Contact Lens King decided to conduct some research to help answer these questions. 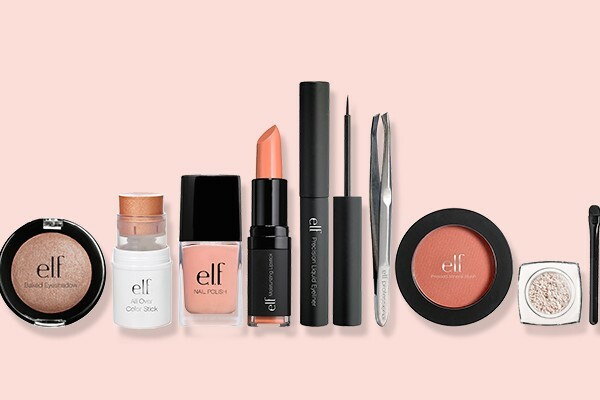 We will compile reviews of E.L.F cosmetics in 3 main categories: price, quality and performance/reliability. However, before going any further let's answer the questions who e.l.f. cosmetics is, where they are located and what their overall vision is. e.l.f. cosmetics cleverly stands for Eyes, Lips, and Face. It was founded by Joseph Shamah and Scott Vincent Borba in 2004 and is based in New York City. Their vision, according to the company's website, is to offer a luxurious line of cosmetics made of quality ingredients without endangering their customers' budget. e.l.f. makeup is priced very competitively and with their prices ranging from $1, $2 and $6 per unit it helps accommodate the needs of the price conscientious shopper. At these prices consumers can afford to try a variety of e.l.f. products in various combinations without breaking the bank. In short, e.l.f. provides a great makeup alternative for the price sensitive shopper. According to e.l.f. 's website, all their products are hypoallergenic and non-comodogenic, which means they are likely not to cause allergic reactions or risk blocking pores. This brand also does NOT test on animals, contain any animal derived ingredients or endorse such practices. e.l.f. cosmetics also supports the Humane Society of the United States (HSUS) and has partnered with PETA in the "Caring Consumer Project" in an effort to dissuade other cosmetic and household product companies from testing on animals. The "Budget Fashionista" gave e.l.f. cosmetics great reviews stating that their "products have a nice shelf life" while "College Fashion" rated the e.l.f. brand as being "dependable for good-quality makeup". Their products have surpassed the expectations of many at many levels, proving that higher-end makeup does not necessarily have to correspond with higher-end price tags. Overall, e.l.f. cosmetics is a relatively new brand, however it has been received quite well and has grown a loyal following over the years. Although many believe the brand targets teens due to their low prices others have rated their products' quality on par with their higher-end counterparts. Considering e.l.f. 's vision, animal-friendly initiatives, product quality and pricing, they seem to present a responsible brand that is worth trying and supporting.